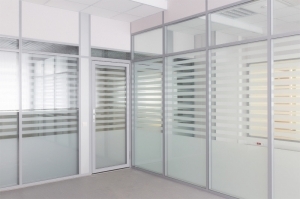 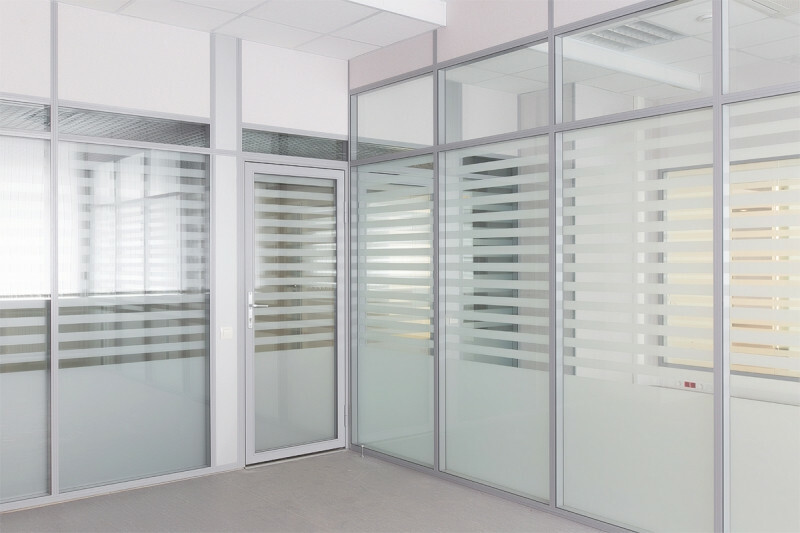 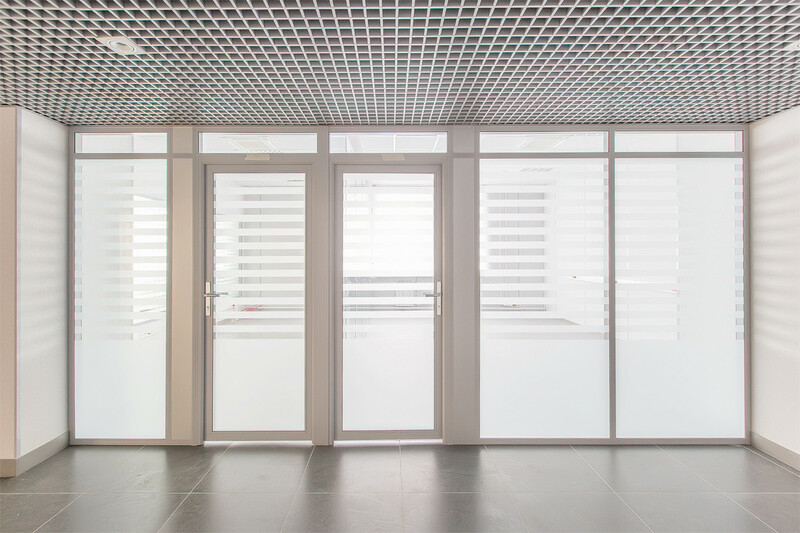 As a rule, for glass partitions in aluminum section single sheets of 5, 6, and 8 mm thick glass are used. The most affordable option is raw glass, but tempered glass is safer and more long-lasting. 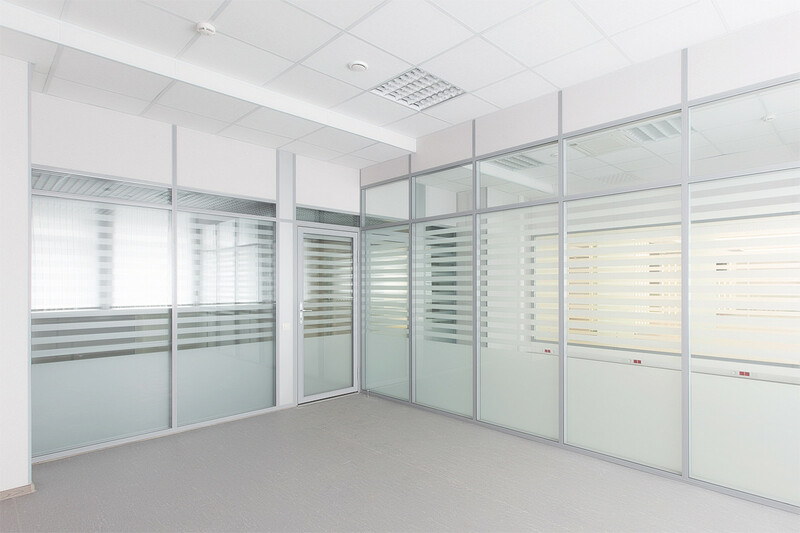 Due to the fact that tempered glass is processed with high heat it becomes 5-6 times more durable than regular glass and when damaged falls into small injury-free pieces. 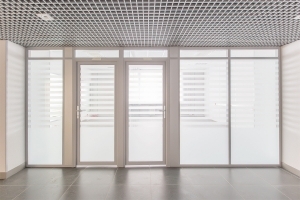 It’s important to know that after the procedure of tempering it’s impossible to cut such glass or make any manipulations with it, it will simply break.